Q. It seems that Highland (at least here in North America has become the competitive venue for the under 18's do you find that in Scotland? If so what do you think needs to be done to rectify that situation. A. This is often the case. 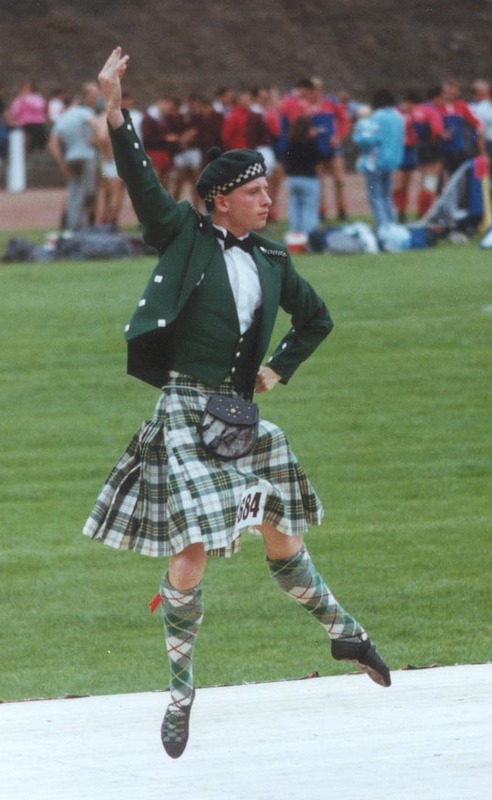 In the under 18s, dancer are often at a similar standard. This encourages more competition. When dancers progress into adults, even successful under 18 dancers, it is often difficult to make an immediate impact against stronger and older (sometime "wiser") dancers. This is a quite healthy environment. A. I still get frustrated when judging dancers who have not mastered the basics - shedding not coming round the leg, "three beat" pas de Basque, not cutting the "figure of eight" correctly. As I have previously mentioned, due care must be given to the basics. We used to practice the "figure of eight" by following a chalk outline drawn on the floor. Sometimes I would practice shedding all night until I was happy with it! The SOBHD has started collecting documents on old technique and steps. I would like to see this expanded and made publicly available. We should be using the Internet to enable all this material to be viewed in one central archive and encourage all our dancing friends across the world to participate in such a project. These archives could perhaps be used to help develop some new steps for use in competitions or choreography. Deryck continues to be very involved, as does the rest of his family in the world of Highland dance. His family are very involved in the teaching and judging and performing aspects of this ancient art form. However, Deryck has also taken the step of putting his name forward to run as Chairman of the largest of the dancing organizations the Scottish Official Board of Highland Dancing. Q. What made you decide to run for Chairman of the SOBHD? A. I believe that a fresh input of ideas is required to modernize the SOBHD. Often change is good for an organization. I believe that my background in dance and Information Technology is ideal in guiding and shaping the SOBHD. Deryck is one who obviously wishes to give back to the dance and to the organizational aspect of the art. Highland is indeed very lucky to have the younger generation continue to uphold it's ancient heritage and give back to the art form. Deryck tells me, " I love all aspects of teaching dance. I do get a buzz when concentrating on technique with the younger dancers, getting them to understand how important the basic movements are."